Welcome to this month’s Blogorail Blue Loop. Today we are sharing some must have items for your Disney resort room. Traveling takes work, but it is fun. Train travel can be fun and relaxing. Read as – NO city driving! Air travel can be and often is stressful. If the kids aren’t happy on the trip or vacation, no one is happy. The last point is even true of a Disney vacation. Sometimes, what you take to have in the room makes all the difference. Check out the things we pack to make sure the kids are happy without caving into their every want! We always pack some sort of toys for Marvel Boy. 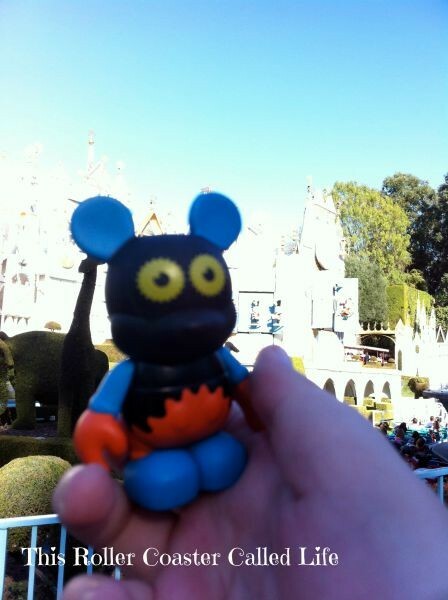 He loves to keep his hands busy, and often something as simple as a Vinylmation is enough to keep him happy. It also serves as a great prop for picture taking around the park. When he was younger, we would take a backpack for Marvel Boy to carry throughout the park. What does this have to do with resort rooms? 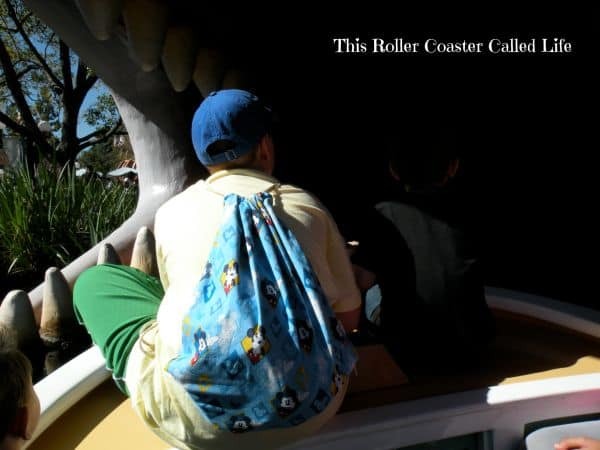 He would carry his Vinylmation and whatever else he picked up as he went through his day in that backpack. When we got back to the room, he would open the backpack to see what he had collected through the day. Whether it be a simple card game or a game on an iPad or iPhone, a game would sometimes come in handy if it were hot, and we needed to take a break in the resort room. Sometimes, if we came back early and no one was tired enough for bed, a game would help calm the kids down. Of course, watching resort TV to plan the next day was a great option, too. Food is a HUGE think in my house and in any resort or hotel room. In fact, as soon as we back out of the driveway at home, I hear requests for snacks. We ALWAYS travel with a snack bag. It saves money on stopping at a convenience store. If we have anything left, it is usually gone before we head back home. Another option is to order food and drinks (affiliate link). 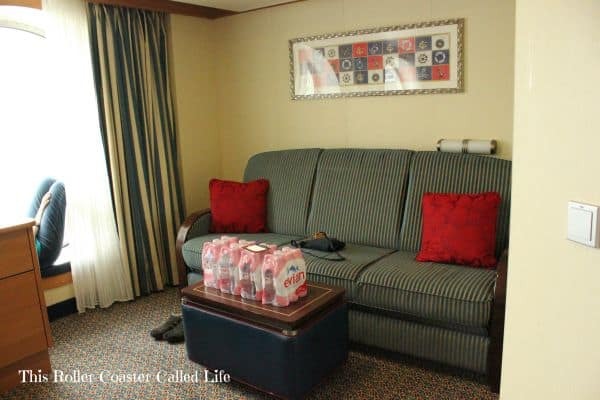 For our cruise, we ordered bottled water from the cruise line to have in our stateroom on the ship. When heading to Walt Disney World, we usually place an online food order from Garden Grocer (affiliate link) for delivery. That way, I can order what Marvel Boy and Songbird like to eat. It keeps breakfast and snack time more normal for them. PLUS, then, you don’t have to head down to the food court to get breakfast. This is kind of two different topics; however, they are related. Music is said to calm the savage beast, and in my household, it does. We have had times where Marvel Boy’s legs would break out from the heat, and he and Don would head back to the resort room. There, they would pull out the iPad and watch a movie. It was nice that he had something to do while inside cooling off. Since the beginning, I have put together trip activity books for both children. Since Songbird is older now, she probably won’t be as interested in one. However, she has offered to make Marvel Boy’s book for him before this next trip. I usually include coloring pages, activity pages, and journal pages. When Marvel Boy was younger, he had problems filling out the journal pages. He didn’t want to write… So, I came up with some check off sheets, so he could check off what attractions he had been on that day. I have these pages for Disneyland and Walt Disney World in both boy and girl versions. 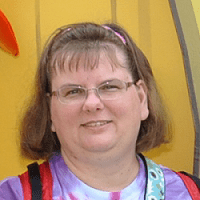 These pages work very well for kids with special needs, like Autism. I have uploaded these activity sheets here: Disneyland or Walt Disney World. Both kids always taking their favorite friends with them when we traveled. Whether we took Songbird’s American Girl Doll (Yes, that is years ago…) or Marvel Boy’s well traveled Duffy, a friend is always a good thing to come back to. 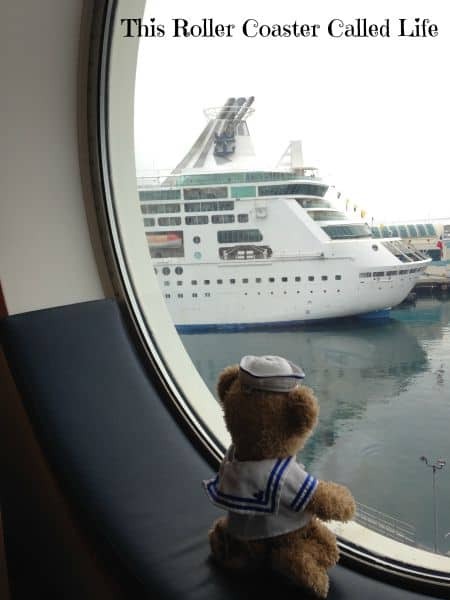 Duffy has been coast-to-coast (Disneyland and Walt Disney World) and has sailed on Disney Cruise Line. He always has an outfit for the occasion, and his outfits travel with him. Just wait until Marvel Boy sees the new Duffy swimming outfit that is coming in the mail, so Duffy can be properly attired for Castaway Cay. Just to warn you… I work in a hospital lab. I am a germophobe. We just don’t go barefoot in a hotel room of any sort. One can wear socks around, but when you have to get up in the middle of the night to go to the bathroom, it is inconvenient to put on your socks. We always take slippers or flip flops with to wear around the hotel room. This makes it easier for the kids to keep their feet clean. 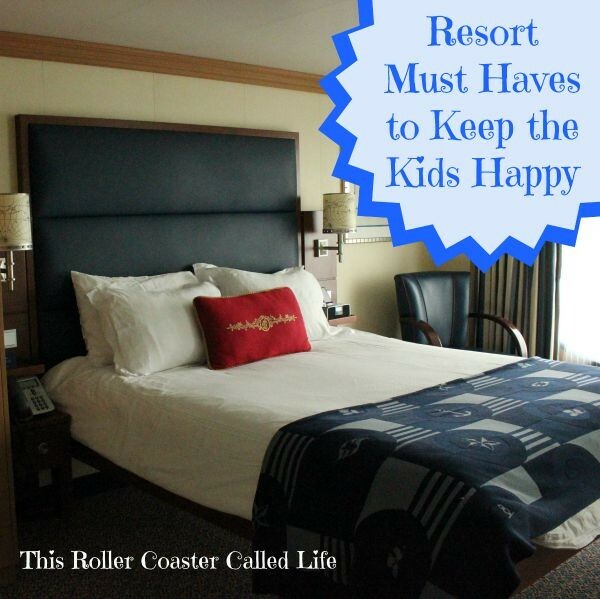 What are your resort must haves to keep the kids happy? So many great tips! We always bring a small game or two as well to entertain the kiddos (and adults too!) while on vacation. My little one still naps so if the bigger two don’t rest when she does, it helps to have something quiet they can do during that time. What a great list of things to keep the kids happy on your trips! My kids each have a Duffy bear too – and, between the two of them, we have quite a collection of outfits. Gracie had “graduated” from hers now, but I still bring outfits back for Ian if I travel without the kids. This is a great list. My son is 14 now so his list is different, but I remember when Bilbo (his stuffed monkey he inherited from my daughter) went everywhere with us. Then I said Bilbo is getting too old. Then we took Mickey, then we started buying a different Disney plush each trip. Now, I tell him we have enough and he doesn’t care so much. I wish he was little again many times so he did want them! Having familiar toys was definitely a lifesaver when we took our nieces in May. Great tips! We once had an almost tragedy because a nightime pal got left in a hotel room on the way to Walt Disney World. Thank goodness the hotel had it and shipped it home. But the minute we got to Disney we let our son choose a new pal. We did this before even checking into the hotel! Disaster averted. I love these ideas! I always pack a little goodie bag with “secret surprises” for the plane. Mini coloring books, crayons, little snacks, stickers, etc. Makes the flights so much easier! Thank you Dollar Spot at Target… LoL! So you’ll appreciate this story. We just went away with my 9 month old for Labor Day weekend and it was our first time staying in a hotel with him. He wanted to crawl SO BADLY but I stopped him every time. I couldn’t have him crawling on the rug in the hotel! I was so grossed out! I’m glad I found someone who is like me!